Following the 2011 earthquake and tsunami that impacted the Fukushima Daiichi nuclear plant in Japan, Duke Energy and the nuclear industry took immediate action to re-verify that every station is in a high state of readiness to respond to emergency events. In this Q&A, Dhiaa Jamil shares some of those actions, and how Duke Energy and the nuclear industry will continue to incorporate lessons learned from Fukushima. What actions has Duke Energy taken in response to the events in Fukushima? Following the events in March 2011, we created a Fukushima team to monitor the event, integrate lessons learned, and coordinate our responses to related oversight activities on the part of the Institute of Nuclear Power Operations (INPO) and the Nuclear Regulatory Commission (NRC). 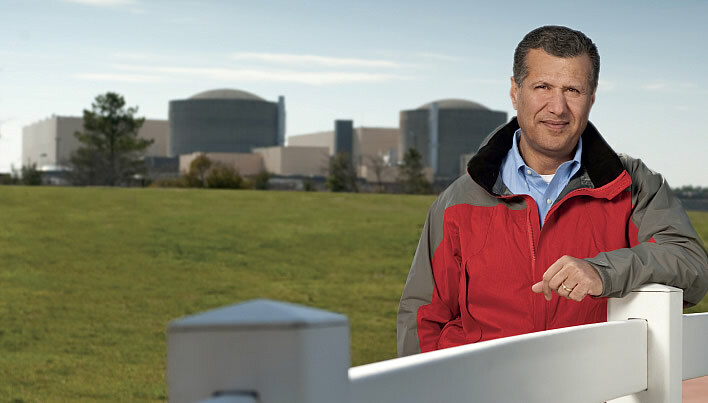 Internal, regulatory and industry assessments and guidance identified enhancements to further augment safety at each of our nuclear power plants. Items identified were either immediately implemented or entered into our corrective action program for resolution. I would also like to acknowledge the personal contributions made by many of our employees in the weeks following the events in Japan. Many Duke Energy employees donated to the American Nuclear Society’s Japan Relief Fund, which was set up to help nuclear power plant employees and their families who had been affected by the earthquake and tsunami. How is Duke Energy working within the industry in the aftermath of Fukushima? The nuclear industry has a long history of collaboration and teamwork, and Duke Energy is no exception to the rule. Duke Energy is working through INPO, the Nuclear Energy Institute (NEI) and the Electric Power Research Institute (EPRI) to put standards and practices in place to address the lessons learned from Fukushima, as well as other operating experience. Duke Energy personnel are participating in NEI task forces that are collaborating with the NRC on requirements arising from Fukushima. In addition, INPO is addressing the operations and training aspects of the event, and EPRI is carrying out research and analyses of the accident. Our participation with these organizations was in place before Fukushima, and is part of the nuclear industry’s focus on sharing operating experience and best practices. What lies ahead for the industry? A year has passed since the events in Japan, and the industry’s focus has shifted. Initially, the industry focused on short-term actions to ensure availability of key backup systems. Now, we are addressing lessons learned on a systematic basis. An NRC study of the Fukushima event produced numerous recommendations for regulatory action. The NRC has issued the first set of enhanced requirements related to the Fukushima accident, and Duke Energy is preparing to meet those requirements. Additional regulatory actions down the road will further enhance plant safety. More change will undoubtedly be coming to the industry as a result of Fukushima, and we will embrace it. We will emerge as an even stronger industry as a result of the lessons learned. We must continuously raise the bar for safety and performance. The general mindset of those who work in the nuclear field is, “Good is never good enough.” It’s the constant pursuit of excellence.